Basic Personal Protection includes; safety, personal security, awareness, assault recognition, the psychology and physiology of fright & their effects on performance, a solid understanding of the law on the use of self defense, conflict avoidance, travel, Law Enforcement encounters, and more. Basic Handgun Self-Defense includes a shooting qualification, along with instruction on a number of combat-proven methods of shooting. Due to range restrictions, this course unfortunately cannot provide the same low light shooting experience as our Intermediate Carry Course, but you will still leave class comfortable in the skills you need to practice. Also included are; Comprehensive instruction on the legal use of deadly force, carry permit law, holster selection, carry methods, , traveling with firearms, and much more. We train you for the realities of self defense, not just a permit. In the event this class has enough students, We generally convert it to an intermediate course where we use the private training bay, and are able to offer a much higher level of firearms instruction (including low-light and darkness when facilities permit). This would not cost you more, other than needing an additional 50 rounds of ammunition. The range fee would stay essentially the same. You would be emailed should this occur. You will need a notebook, a handgun you are familiar with, and 50 rounds of ammunition. This Course is 8 hours in length. Course Fee is $130 plus range fees, targets are included. This course is intended for permit holders who feel they did not receive adequate instruction when training for their permits or those who have firearms in the home but have never received legal instruction on their use. We also welcome those people who wish to learn the all of the basics of self-defense but have no interest in firearms or carry permits. The law on self defense says nothing about the weapon used, and at some point we are all in a situation where we need to know what our legal options are, whether it is at home with a baseball bat or a frying pan, or in a vehicle at night. This course includes personal security, awareness, assault recognition, the physiology and psychology of fright and it’s effects on performance, escalation / de-escalation of force, comprehensive instruction on the legal use of force in self-defense, home and travel safety, police encounters, criminal and civil liability, conflict avoidance, travel safety , law enforcement encounters, and much more. Many courses do not teach all of these items, and when covering the law, some only address the bare minimum to qualify for a permit to carry. We will give you what you need to know to stay alive and out of prison. Note; This course does NOT qualify you for a permit to carry, see our Multi-State Permit Course if you wish to obtain a permit. There are over 130,000 active carry permits in the state of Minnesota, and countless more who own firearms for defense of the home. Of that number the overwhelming majority have never practiced drawing and firing a weapon when confronted with a threat. The reality of self-defense is that most training breaks down in high stress situations. This class helps students recognize those realities and learn skills that are more likely to help them function in that environment. Course Length : COMING SOON – PLEASE CHECK BACK SOON! Get your friends or family a gift that they can use every day. Our courses offer an in-depth understanding of self-defense from a different perspective, where awareness and avoidance are the key principles. While skill at combatives and weapons are undeniably valuable, true self-defense is keeping trouble from noticing you or wanting to bother you. However, should the situation escalate beyond that, our course is one of the best courses available in the region. We teach 4 combat-proven styles of shooting, primarily in low light and darkness, because bulls eyes don’t shoot back (subject to range availability). This certificate is good for one (1) attendance in our “Basic Carry Permit (Multistate) / Basic Personal Protection Course” (does not include range fee), or $130 off any of our other courses. Introduction to Self-Defense is designed to give the student some basic tools to increase their personal safety. Students will learn how to assess and minimize potential dangers from assault, identify potential escape routes, and if necessary and practical, defend yourself. Skills include awareness, assault recognition, the physiology of fright & it’s effects on performance, The basics of the law on the use of self defense, conflict avoidance, and much more. Physical skills include stances, movement, hold breaks, control holds, simple weapon controls / disarms, and much more. We are happy to provide this as a private class for groups, businesses, etc. We are able to tailor the course to any particular concerns or hazards your group may face. Contact us at office@pistolcraft.org to schedule for your group today! (Minimum of 12 students for a private group). Course is held in Minneapolis, details will be emailed to students after signing up. A great way to show your esprit de corps and spread the word about us. We have to admit, these are the coolest patches we have ever seen! This 3 dimensional, rugged PVC patch comes with a velcro backing already attached for ease of application / transfer. For sew on application, just take a bowie knife, sword or other manly object (or a seam ripper if you have one) and cut the stitching, and it will sew easily as the holes are pre-punched through the vinyl. So rugged, that one survived being strapped to the bottom of a hiking boot through an entire hunting season! (Great if you find a hole in your shoe, just tie it on!). You could probably even patch a radiator hose with it. Don’t be the last on your block! Order today! Also available in multicam for those keeping a lower profile, operators, and people who just hate the color blue. 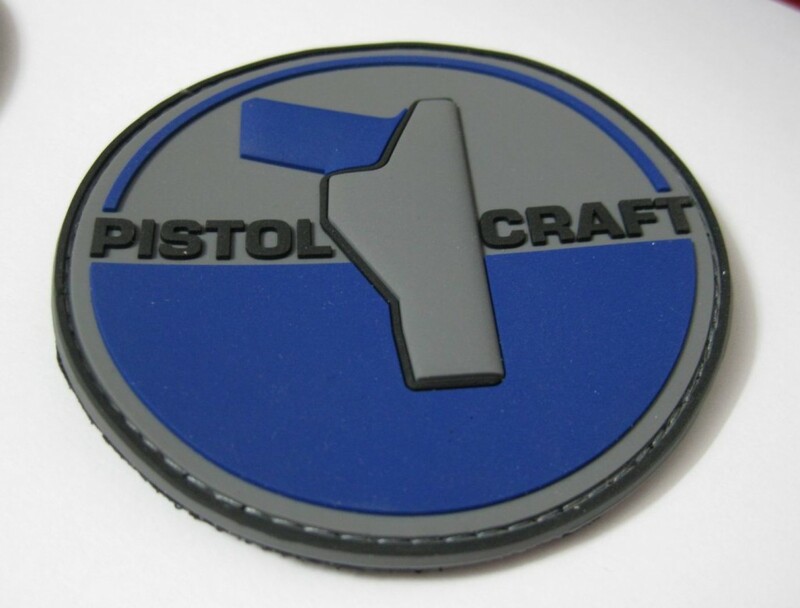 Also available in our standard logo colors of blue on grey with black trim. Our private instruction is tailored to your needs. 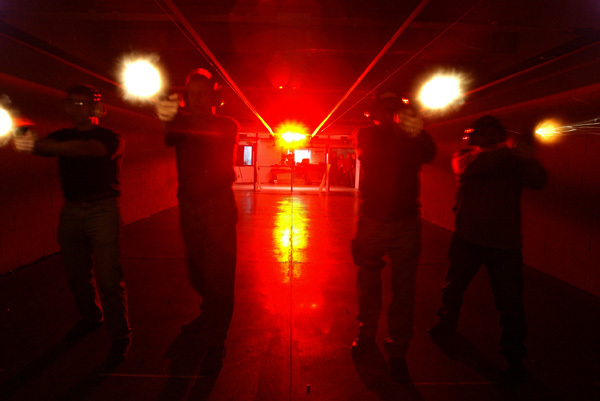 From basic familiarization to advanced handgun skills including sighted fire, instinctive combat shooting, close quarters gunfighting, weapon disarms, CPR, First Aid, and much more. 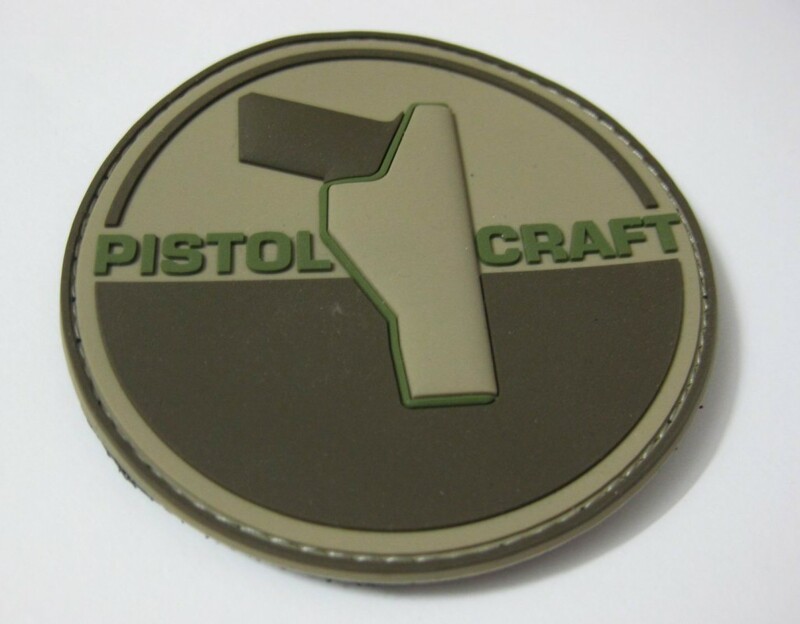 If you are interested, please contact us at office@pistolcraft.org for further details.